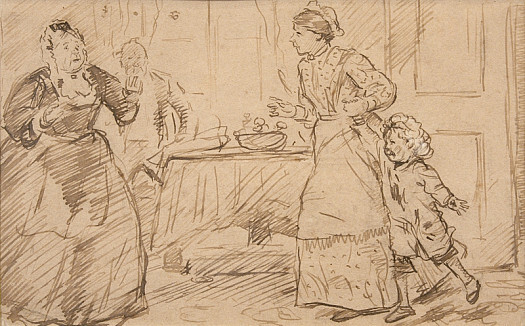 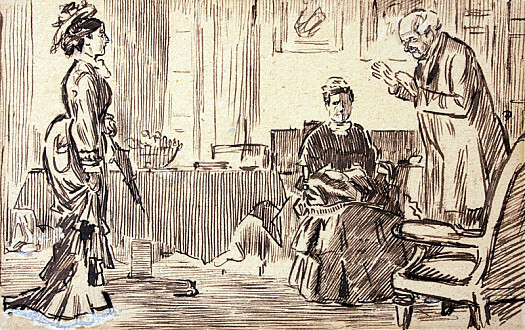 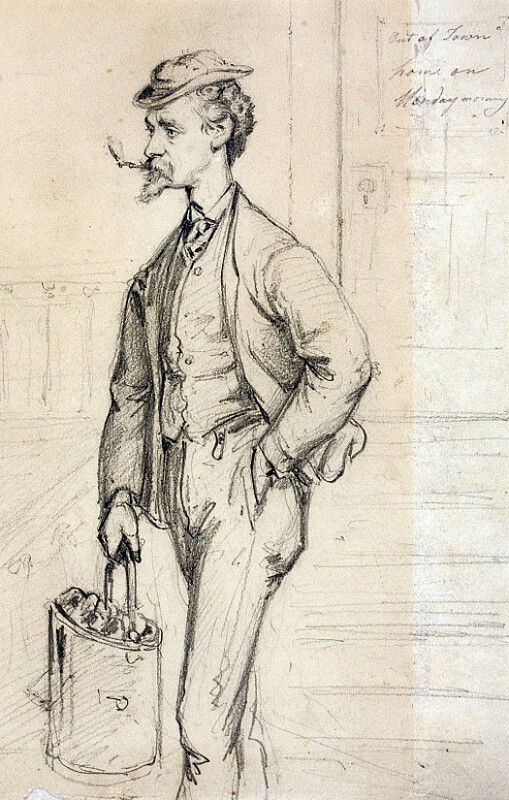 Becoming associated, from the 1860s, with his Punch cartoons of urban street life, Charles Keene developed a great reputation as a draughtsman, and was revered by many of his contemporaries. 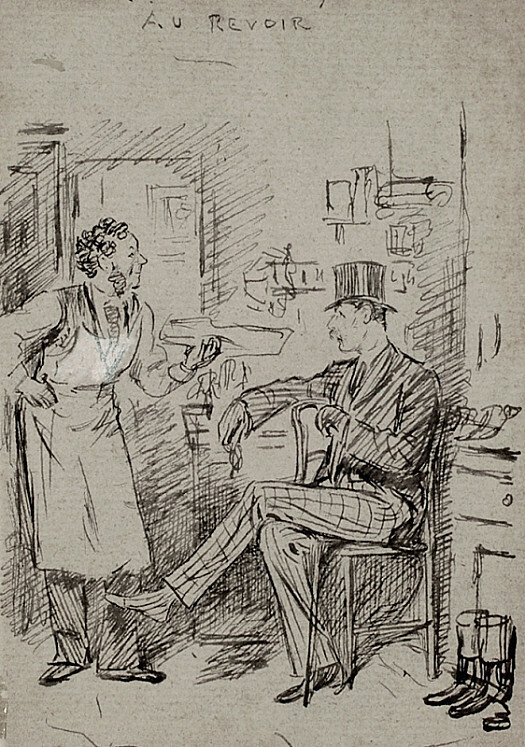 Charles Keene was born in Hornsey, Middlesex, on 10 August 1823, and spent his childhood in London and Ipswich, where he was educated at the local grammar school. 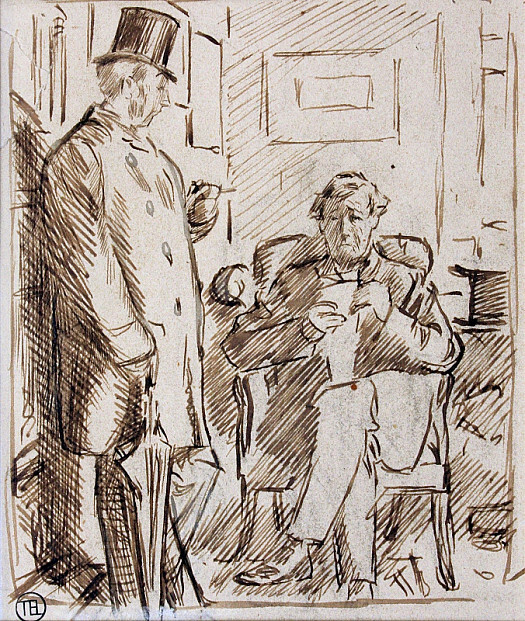 He spent some time in the offices of both his late solicitor father, at Furnivall’s Inn, London, and the architect, William Pilkington of Scotland Yard. 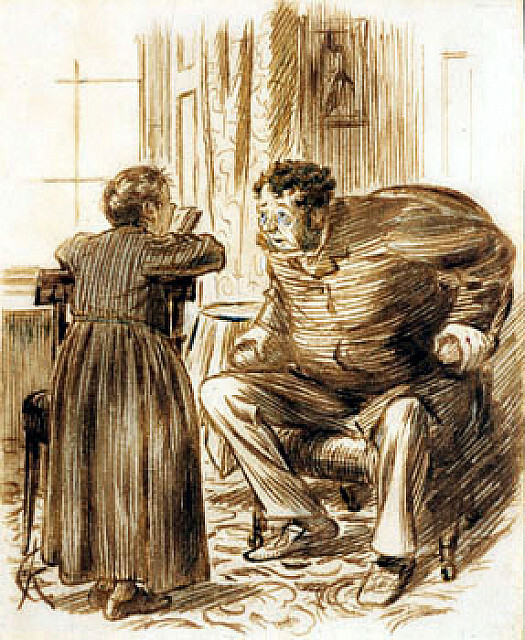 However, finding neither congenial, he entered a five-year apprenticeship with the wood-engravers, the Whymper Brothers. 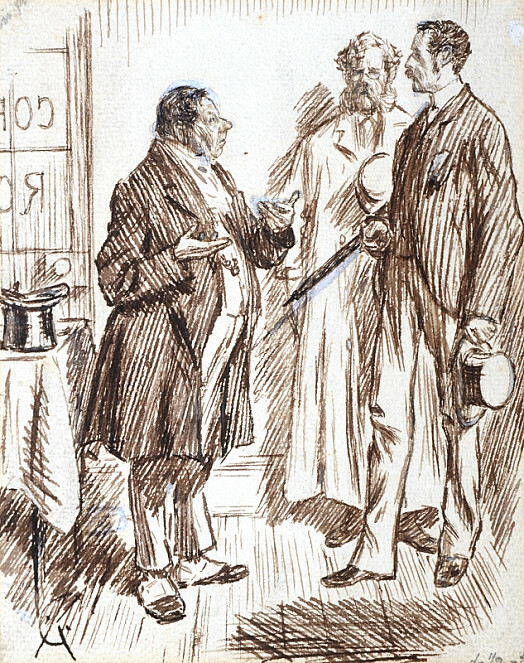 In addition, he was ‘a compulsive attender’ of the Clipstone Academy, from 1848 into the 1860s. 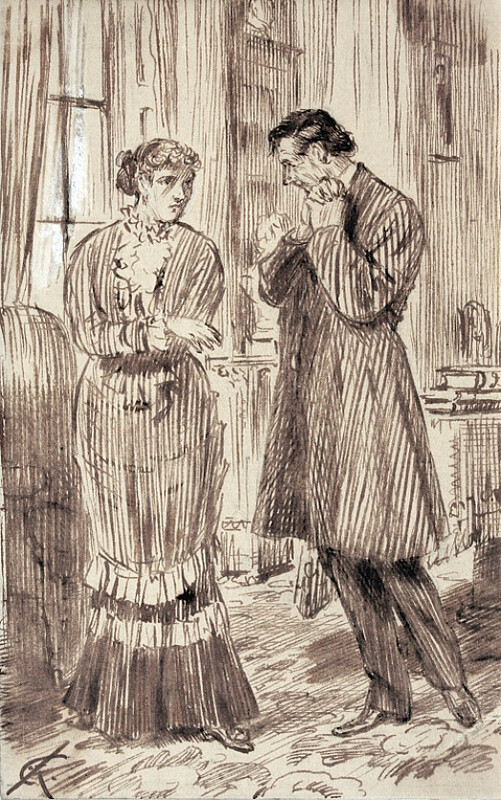 Keene illustrated books from 1847 and contributed to The Illustrated London News, but it was only in December 1851, when he made his first, unsigned drawing for Punch, that he found the ideal outlet for his talents. 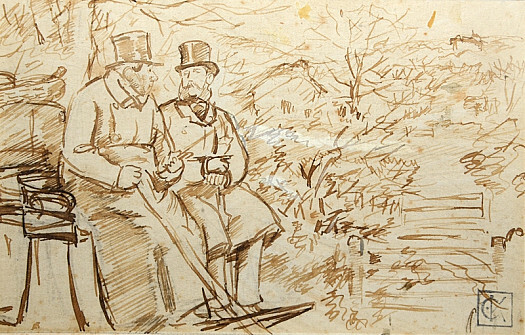 It was a connection that lasted until the day of his death and, from the time he began to use his monogram in 1854, it brought him great celebrity. 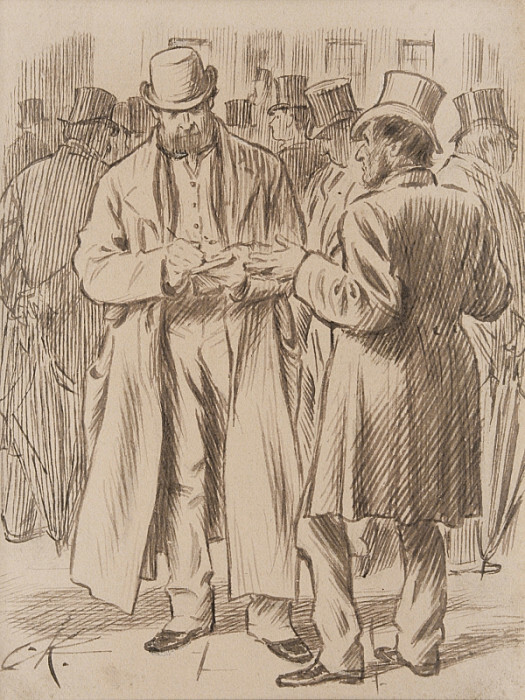 Keene became a member of the Punch ‘Table’ in 1860 and, on the death of John Leech in 1864, took on the role of chief social commentator; he relied principally on urban street life, thus complementing the drawings of George Du Maurier, who was employed from the same year. 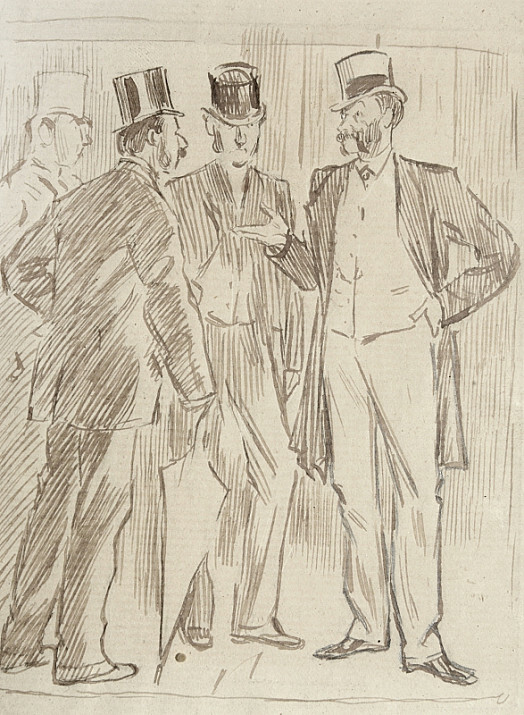 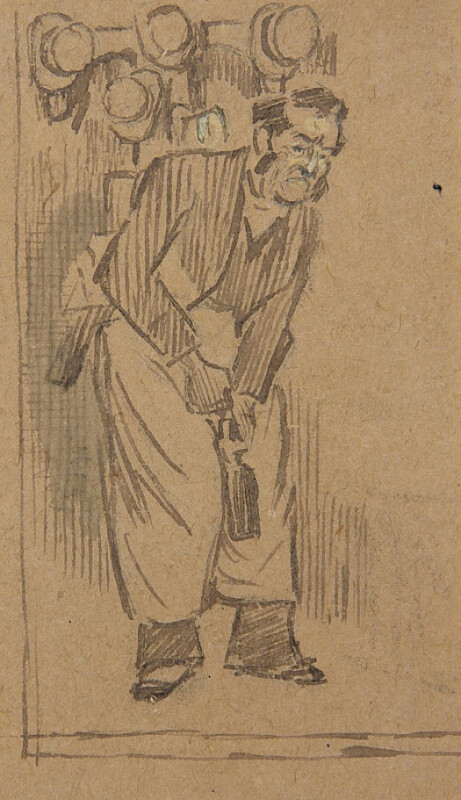 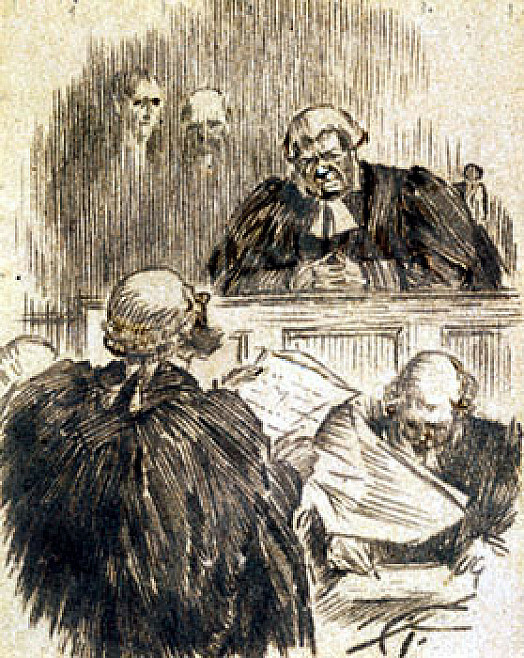 He greatly inspired Phil May, who was in some ways his successor, but Keene was less intrinsically funny and made much use of comic situations supplied by his friend Joseph Crawhall senior. 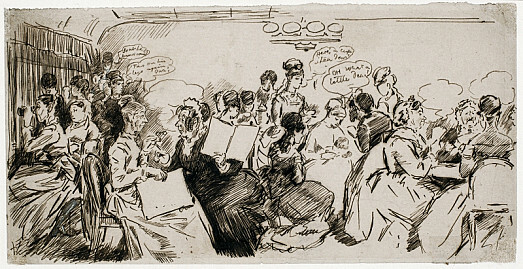 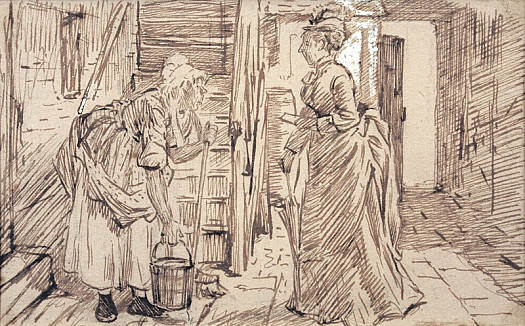 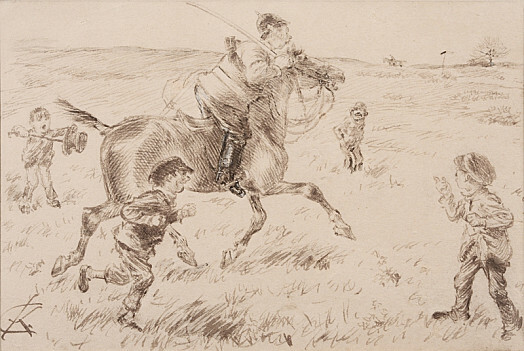 His influence lay for the most part in the areas of style and technique and, as an admirer and correspondent of Adolf Menzel, he did much to introduce the German tradition of draughtsmanship into Britain. 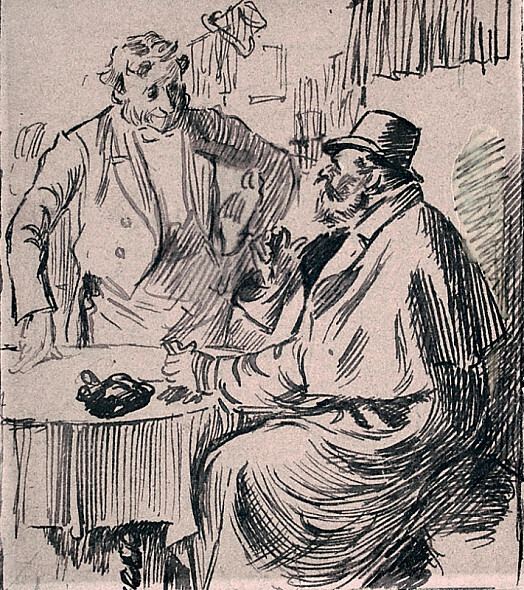 Praised by the French, and working late in life in a style reminiscent of Toulouse-Lautrec, he has been described with some justification as ‘the English Daumier’ (Ray 1976, page 118). 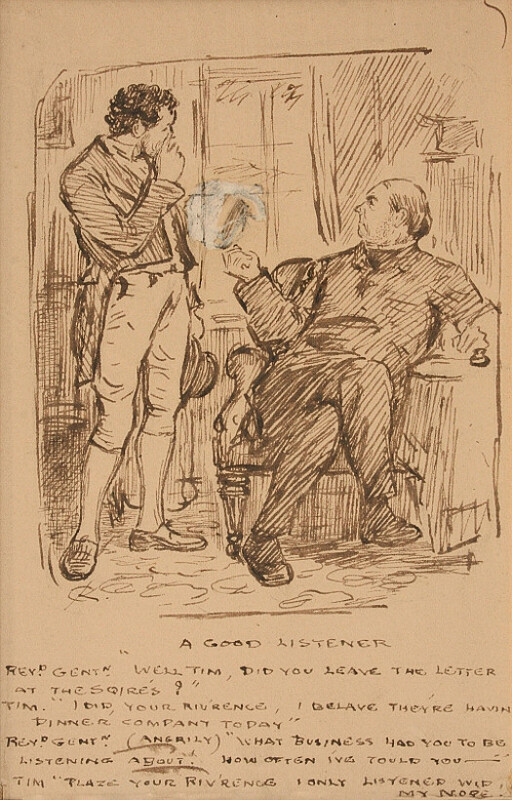 Whistler went further and called him ‘the greatest English artist since Hogarth’ (quoted in Pennell 1889, page 236). 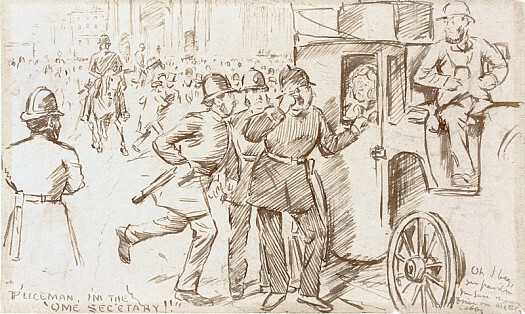 The Fine Art Society mounted a memorial exhibition two months after his death at his home in Hammersmith Road, London, on 4 January 1891. 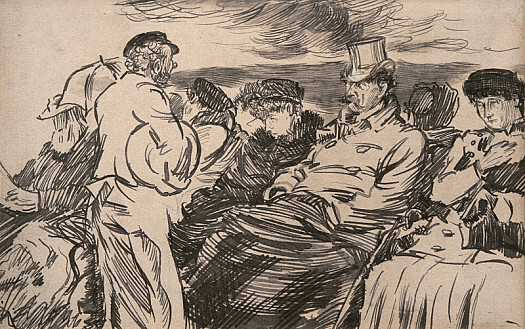 His work is represented in numerous public collections, including the British Museum, the National Portrait Gallery, Tate and the V&A; and the Ashmolean Museum (Oxford) and The Fitzwilliam Museum (Cambridge).